Model T Ford Forum: I just bought my first Model T! I just bought my first Model T! 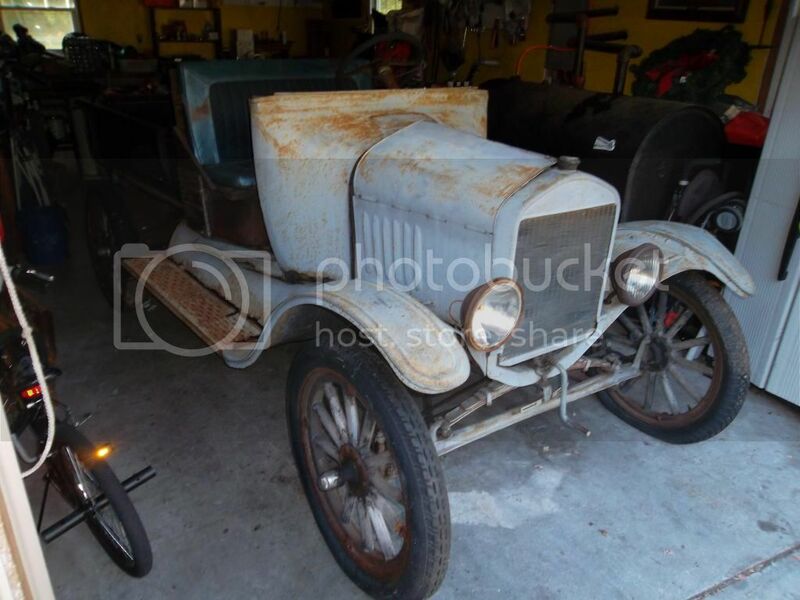 Model T Ford Forum: Forum 2014: I just bought my first Model T! 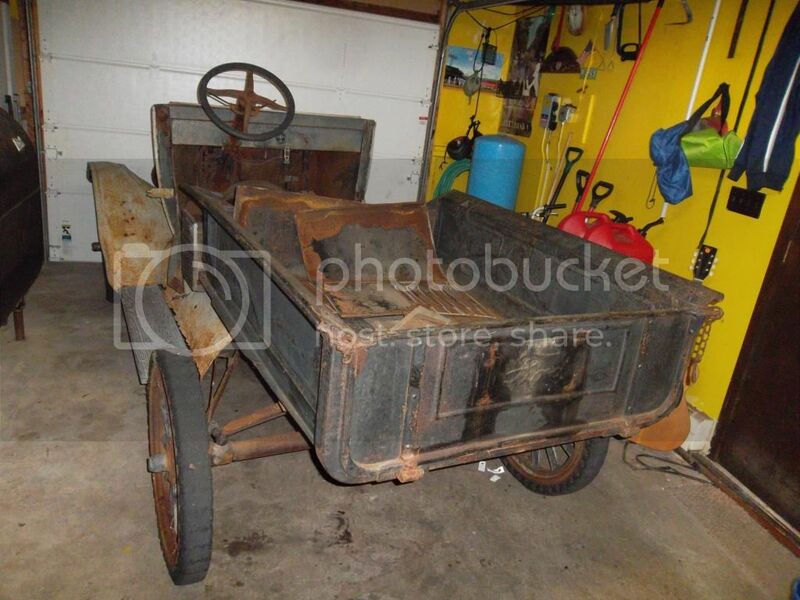 I just purchased my first Model T. It is a pickup, mostly complete. I think it is missing the cab (seat, doors, and windshield). 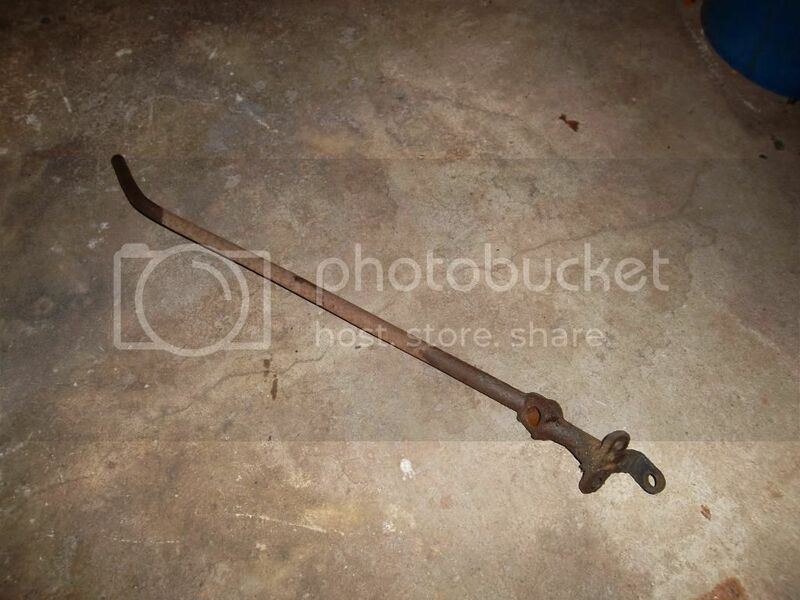 I turned the front handle and everything rotates which tells me it is not rusted solid. The frame appears to be in good condition. The pedals all move freely, linkages move freely. Where can I tell what year the car is? There is a small metal tag that reads several different dates, all early 20's. I will post a picture when I have time. 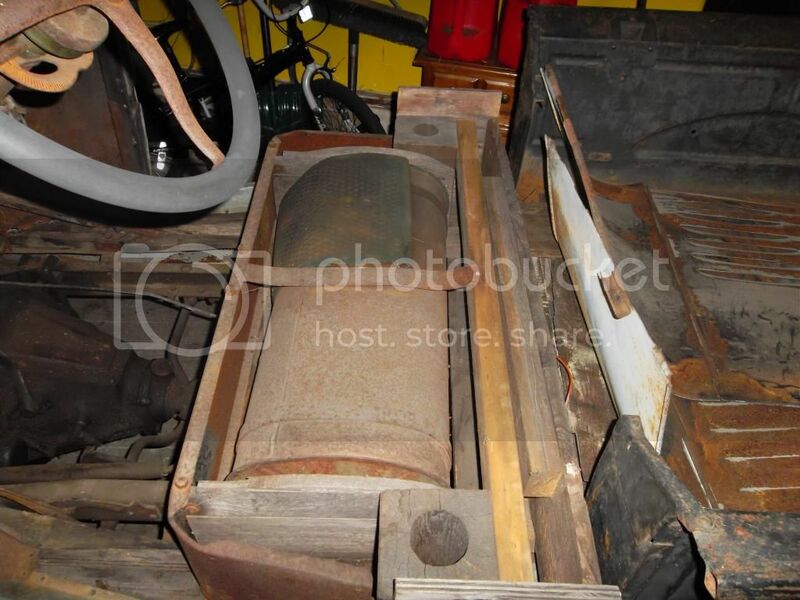 I am very excited to begin restoring this...I don't even know where to start. BUT, I won't be doing anything until I do more research and listen to what you folks have to say. I have built Henry Ford's first stationary engine (made the cover of Home Shop Machinist Magazine). 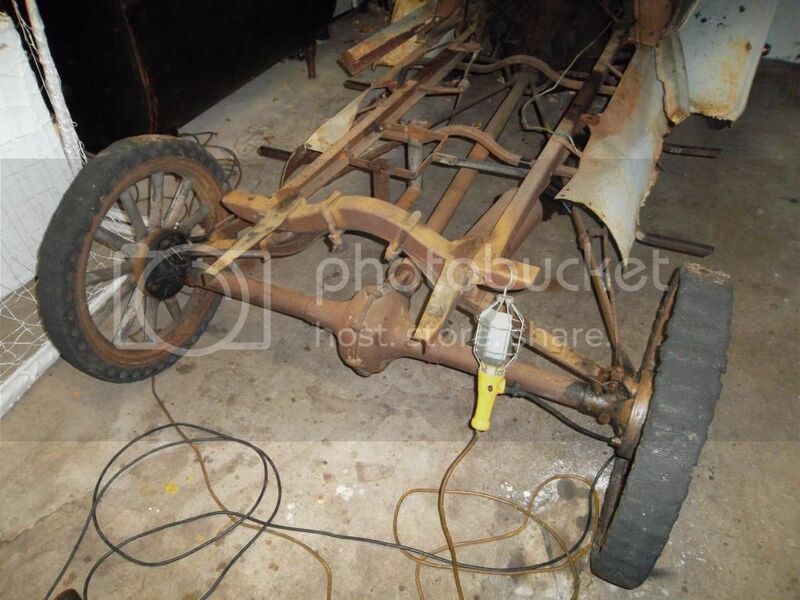 I am currently building a full scale working replica of Henry Ford's Quadricycle. I am also building a half-scale Quadricycle engine. I have read about 5 to 6 books about Henry Ford and am in Ford mode! First I need need to know what year my T is...then I'll go from there. Thanks....P.S. I'm 36 years old...first car restoration...first Ford. Congrats and Enjoy. Will be your "first" one. Once you have one, they seem to follow you home on a trailer. ?????? Bring it on, we're here to help! Welcome to the hobby. You are just the kind of new hobby member that this hobby needs. 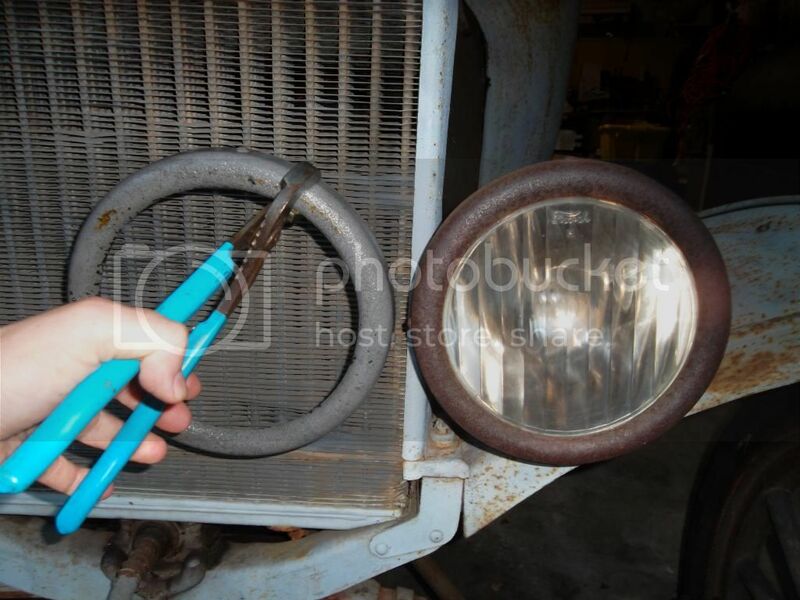 On the left side of your engine is the water inlet. Just above that you should find a number stamped into the engine. Post that number and the members here will tell you what year the engine is. Chris, here's some reading to get you started. It includes determining the year, getting a T back in operation after sitting for years, what you need to start with, some things to watch out for, and a bit of entertainment. Happily you're only about a hundred miles from one of the major Model T parts dealers. If you do as Bill suggests and put the serial number here, we'll find the date of engine manufacture and you'll be on your way. WOW! Thank you so much guys! I will look for the number stamped on the engine and post it...most likely this weekend. I am young and do get frustrated when I don't see guys my age (or younger) at the shows. I feel that getting to know how things were made in the past can help understand where we are now. Manufacturing, engineering, machining, and drafting has come along way. I truly appreciate the history behind the Model T and what Henry Ford did for this country. You will find that the T is simple and easy to work on. You have already found the best resource for fixing any problem you run into. The guys are opinionated about certain things, full of knowledge and very helpful. Don't be bashful about asking questions! As Tyrone suggests - T's seem to multiply. Once you have one others seem to follow you home. As Steve says - we are close to one of the better T parts suppliers. Unfortunately since you live in Mass, you will have to pay sales tax but their service and delivery will be outstanding. I get stuff from them in a day - two days at the max. and Don can be very helpful. Also take lots of pictures and post them on the forum. You will be amazed at what the guys can tell you. But be aware that there currently is a 200 MB size limitation so you will need to learn how to shrink most pictures. If you have a 10-12 year old at home this should not be a problem! We will not overload you with info just yet but be aware that there are numerous things you will want to do to the T to makes sure it is safe and reliable. Just ask for guidance. You'll have a fun toy in no time! Christopher, if you decide to post some pictures (we all hope that you do) on the forum, be aware that they have to be resized to under 194K. A resolution of 150 dots per inch and a width of 6 inches works well. Thanks again guys...I'll post a few pictures this weekend...and I'll keep them small. Chris, some pictures would help to determine what year the car is or at least come darn close. The engine number will tell you what year the engine is but sometimes the engines got replaced and the number will not be correct for the year of the car. There were a lot of small changes to the model T over the years, that is why pictures can narrow it down to almost the exact year in some cases. Willie is right. My engine number is from 1920, but my car is most likely a '24 or '25. Engine number and pictures will help to identify yours. I see your in MA, northeast is full of guys around, and of course you have Lang's to easily get parts from being in the same state. Get the Black Book owners manual, it is full of good info. There are also many many good books and videos out there too. I found (for $10 at a 'garage sale') a Dykes' book dated 1926. There are more than 80+ pages of tech info, wiring diagrams, and tips, etc. for the Model T thru 1925.... Not to mention most everything else mechanical in the 1920's. It's been a good source & reference for me. Was this the 'Chilton's Manual' before there was Chilton's? The number I got off the engine is 14497490. Pictures to come later! Hopefully the link to the pictures worked...I'm having major difficulties with my username and password? 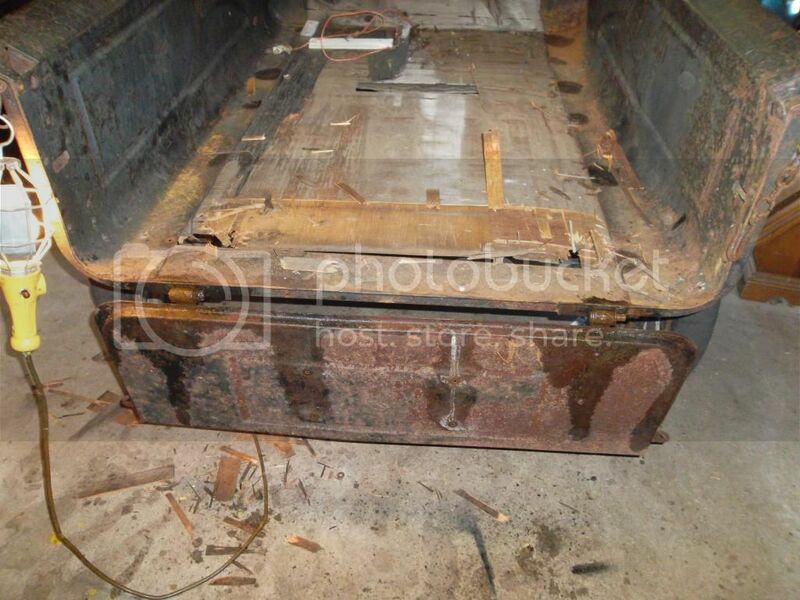 It looks like a 1924-25 style closed car missing the body. Can't tell if it was a coupe, tudor or fordor but someone may be able to tell more especially if you post more detailed pictures from more angles. The engine isn't the original since it's a 1927 model year engine assembled november 5, 1926. 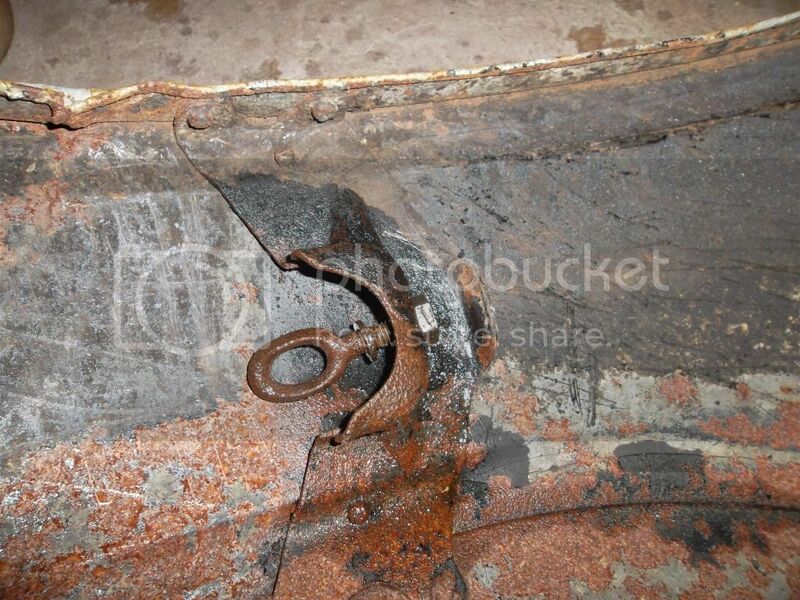 Is the hand brake quadrant riveted with two or four rivets to the frame? If two, it's a 1925, but since it has 30x3.5 clincher wheels it's more likely it is a 1924, since 21" wheels were a very popular option available in 1925. Here is a few more pictures...did I buy junk or is this a real T? 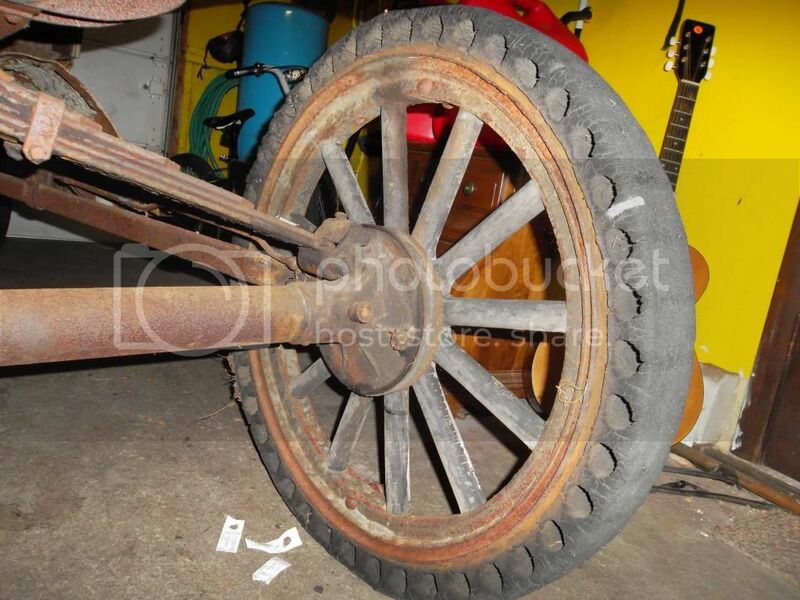 I'm hoping this is not a pieced together Model T. The front tires look newer than the rear tires. The rear tires have hole in them? The engine is November 1926, so it would have been in a 1927 model car. 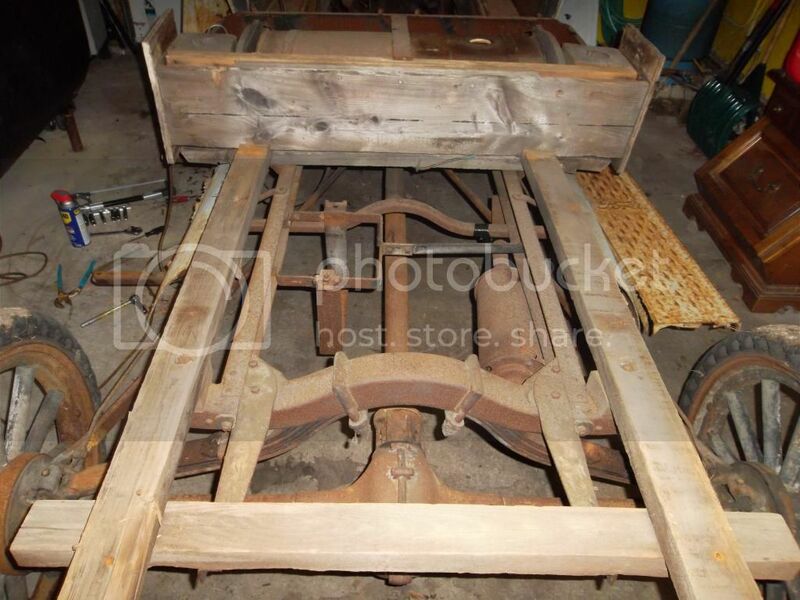 The chassis appears to be 1925 with the narrower rear crossmember and small drum rear axle that are pre-1926. The handbrake quadrant is the 1925+ 2-rivet style. The cowl also appears to be 1925 with the 2-rivet tag. The rear tires are an aftermarket accessory hard-rubber type. 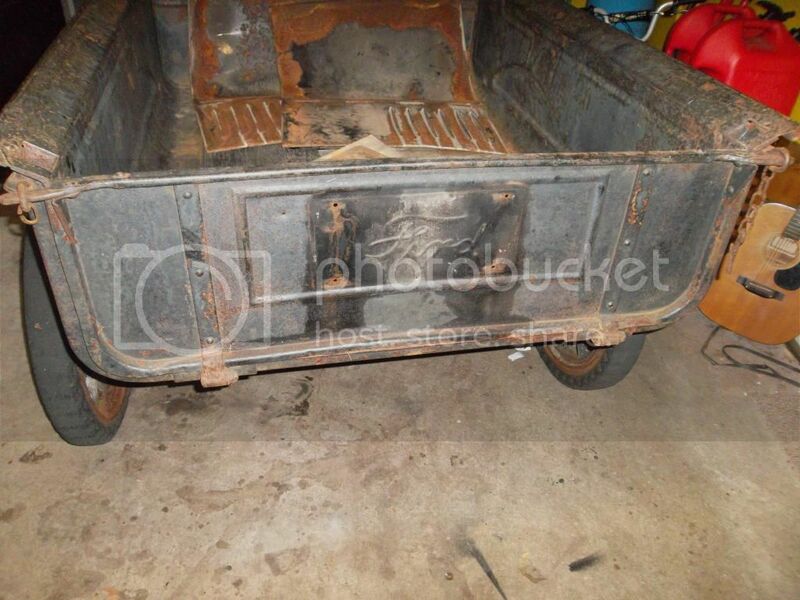 I'll let someone who knows pickup boxes better than I do speculate on the year of that, but it is a roadster pickup box on the back of what started as a closed car body. Don't let this discourage you... You didn't buy "junk". You can make it whatever you want it to be, and have a lot of fun along the way. Thanks for the information. I was hoping it was an original Model T Pickup. I want this to look like it did when it rolled off the lot. So the rear tires did not come with the car originally? I would like all 4 tires to be the same and correct for the model year. Thanks again...back to more T research! There really aren't a great many cars that are "like they came off the lot". Most daily runners are a mix of parts often from more than one year because the parts are so interchangeable. That makes parts easy to find! It's alot of work there. For some reason here in the northeast it seems stuff is priced a little higher. If you feel you got a good deal, then that is all that matters. I see a 26/27 cowl there (has the flip up door for the gas tank. 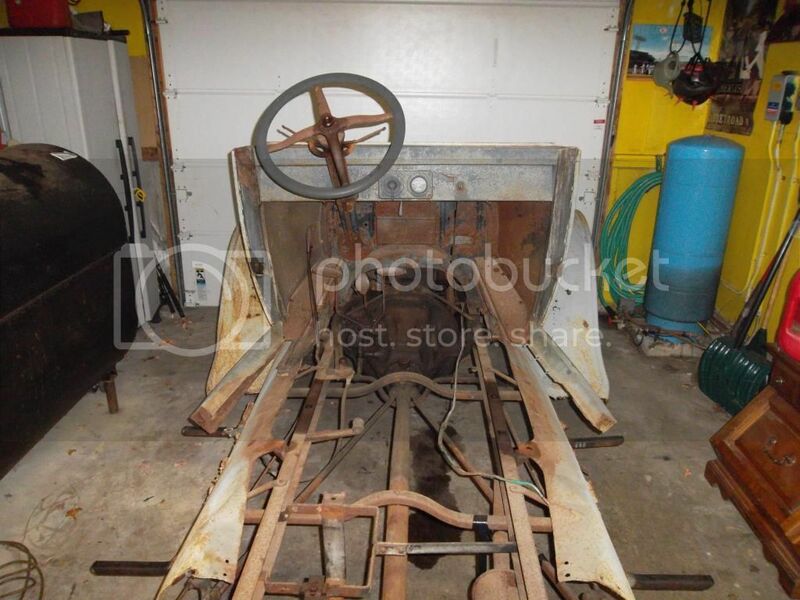 My guess based on what everyone else says is that someone found remnants of a 26/27 car, added about the same year pickup box and found a slightly earlier rolling chassis. Yes, it is pieced together. But....Do not let this discourage you. My car is also a somewhat morphidite. I bought it as a 1920. It is a Canadian car I brought back to the states and does have some different features so it is hard to pin down the date. At least in my case I think the major swap was the early engine into my later chassis/body. The point is, Model T's come in all shapes and sizes. If you want something cool, and don't necessarily care about that everything is correct for the year, you can have freedom to build what you want. Mine is not correct in terms of the years of parts used, but I still try to maintain the essence of what a stock T was. 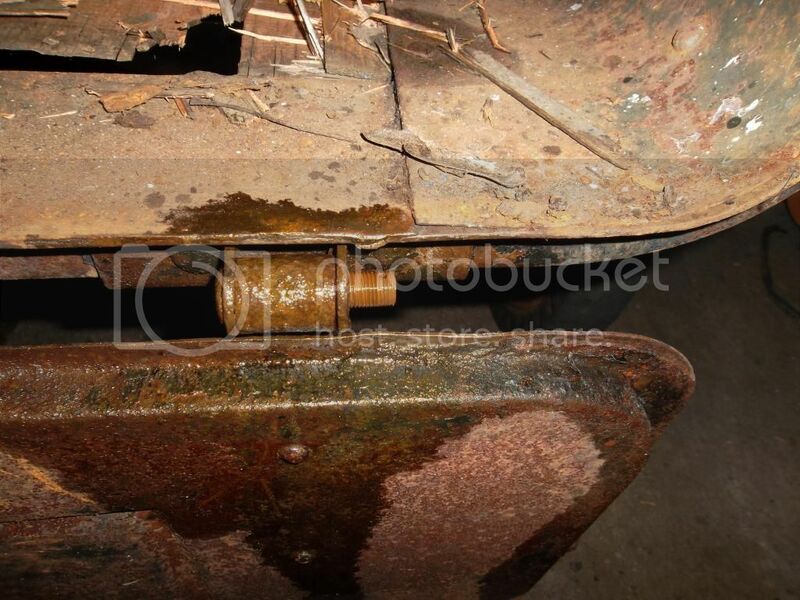 And I love the patina look on some of the vehicles personally, it is character that took 100 years to get there. Buy some black paint to cover the primer and dont worry about scuffs and scratches. Most importantly have fun! 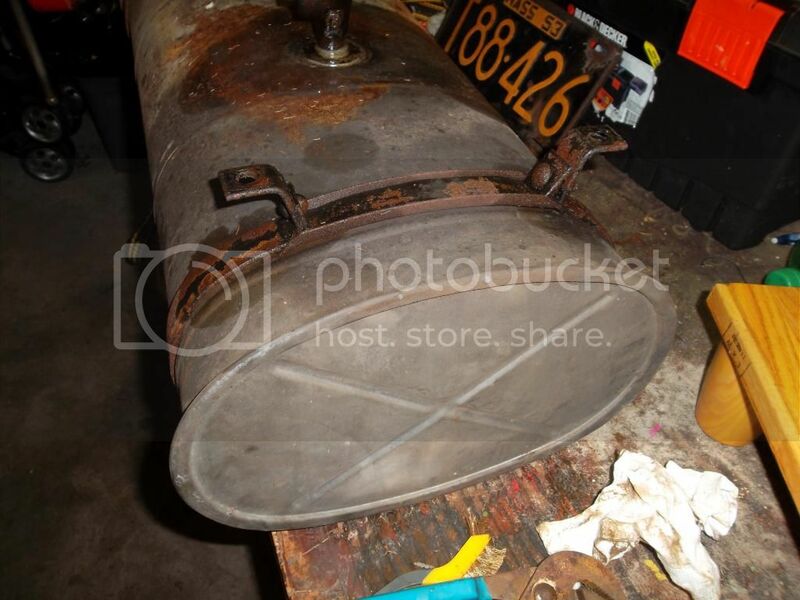 It looks to me to be a 1924-25 closed car (either a coupe or sedan) that was cut off behind the gas tank. Only the front half of the seat riser remains. The flip up door is for a vent which was an access door for a gas tank for the later 26/27 models. The horizontal strip across the top of the cowl above the vent door was a separate trim piece for the '24 models and (I'm almost sure) the trim piece was stamped as a feature of the cowl for the 1925 models. 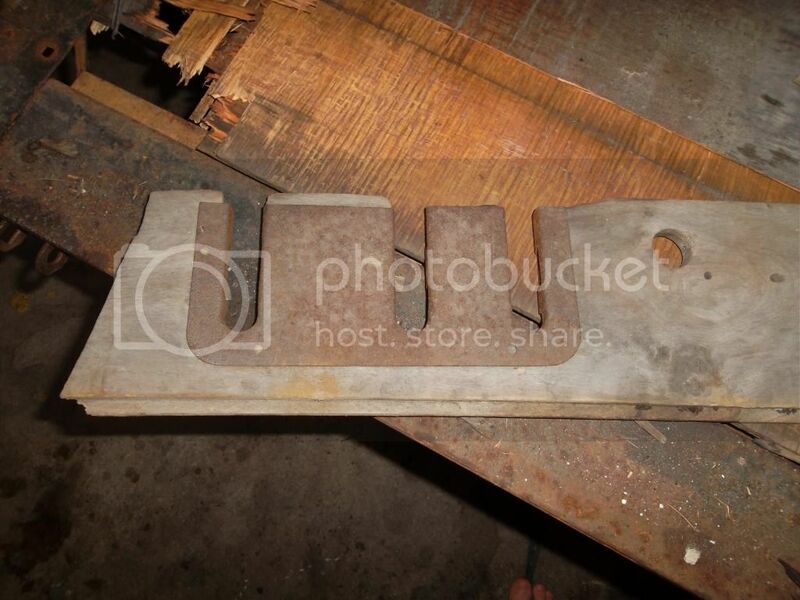 There could be numbers stamped on the right side floorboard riser that may help determine who made the body. That is a study onto itself. One way to figure out if it was a coupe or sedan is to measure the inside opening between the A and B posts. My '24 coupe is 23 1/2". A sedan will be a little longer. of helpful hints as you work toward your goal. 1st I would try to get the engine to turn over and at least tell you she wants to go. 2nd. As someone who has been monitoring the forum since 2009, these individuals are to be trusted, and their opinions respected. Rich, Unless I misunderstood you, take a look again and you will see the gas door in the cowl. I almost missed it at first until I blew the picture up. Should be a cowl from a 26-27 as far as I know. But I am no expert either. i like it. Reminds me of my own car. Thanks again folks...I'll keep searching for serial numbers and doing more research. When you say "turn over", do you mean simply turn the front crank? I turned it about a 1/4 turn. I did not want to rotate the crank a full 360 in fear of breaking something. Do you think it will be safe to crank it around a full turn without lubricating anything? 1924-25 closed cars had a vent in front of the windshield. The gas tank would have been located under the front seat. I suspect if the OP looked under the cowl, he would see a vent. I agree with the 24-25 closed car theory. Either a coupe or fordor. Tudors had a square tank. 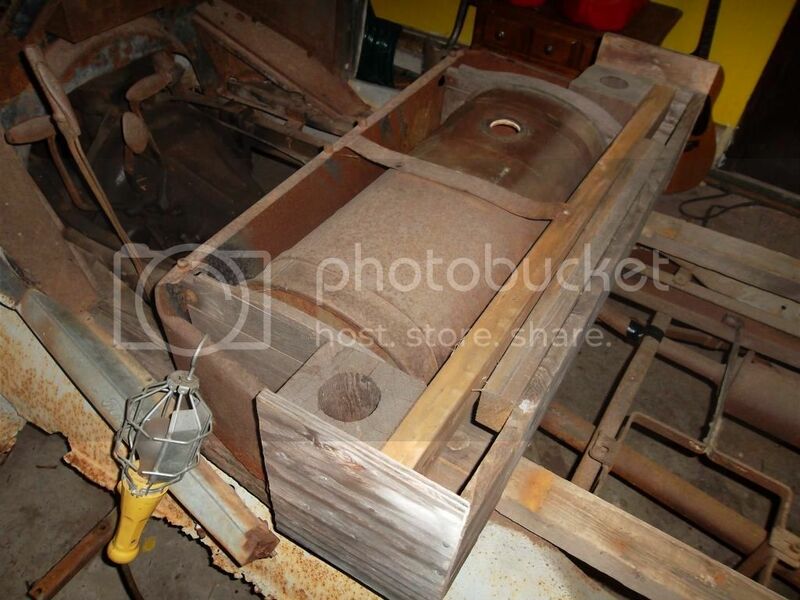 The sheet metal around the oval tank is like coupes I have seen but fordors may have had that too. The firewall is further proof of it being earlier than 26. The transmission and pedals are correct for the 26 engine. Looks like a fun project what ever you chose to do with it. Chris, I don't think hand cranking will be fast enough to damage anything. Going around a few times to check compression and see if things are moving properly should b OK. I will try to hand crank it today. Now that I have the year (sort of figured out) I would love to compare my T with a complete T.
Apparently the janitor at my school owns a T! I have only seen (1) T running and that was a few years ago before I was interested in them. I'm going to take a million pictures of it, ask a ton of questions, and yes, buy those T books! So I cranked it around once and it started creeping towards me. I assumed it was in gear so went to fuss with the pedals. I noticed the large hand lever on the far left was pushed all the way back. I pulled it forward and noticed what was happening. I'm not sure if this put the engine in neutral but when I turned the crank over it rotated 360-degrees without the car creeping forward. However, I did not notice compression. Was the crank supposed to bounce back at me? Either way it was rotating...not rusted solid. I also disconnected all of the carriage bolts holding the truck bed onto the frame. I took the truck bed gate off carefully. The cotter pins fell right off and the castle nuts came off with a little WD40. My goal is to remove all the rotted plywood someone put in the bed and then remove all the rust from the truck bed and gate. This will give me a sense of accomplishment. Still very fun and exciting to own a T! Take lots of pictures as you take it apart so that you can use them for reference when you put it back together! Also, bag and tag all the parts so that you know where they belong when it comes time to put it back together. I know it seems obvious how things fit now, but memory has a tendency to get fuzzy as the work (and time) goes by. Christopher. The 24 or 25 closed car guess is probably right because of the firewall style. It could have been a coupe or sedan. As to the vent in the cowl. Since I see a 24 or 25 style firewall, there is probably just a vent, it should have a handle unless its missing. In 1926 and 27 the gas tank was mounted under the cowl and the lid became an access door for the gas cap. The 26-27 Tudor and Coupe will have the tank in the cowl. The 26-27 Fordor will have the tank under the seat. The 26-27 Fordors used the same oval tank that was used from 21 to 25. All body styles except the TT trucks switched to the Improved style firewall for 26 and 27, even the 26-27 Fordor uses the Improved style firewall. The TT trucks used the earlier style firewall for 26-27. As to compression, the cylinders are probably dry. Remove the plugs and squirt some motor oil in there. It will raise the compression and lubricate the cylinders for some of the following tests that you will be doing. Good luck ... and remember .... "Someone is always here"
A '26-27 closed car would not have the coilbox mounted to the firewall or the gas tank under the seat. The cowl, fenders, frame, axles, etc. are all consistent with 1925. Thank you again folks! I have been taking many before and after pictures. The vent in the cowl does have a small lever located on the inside (just to the right of the steering wheel). 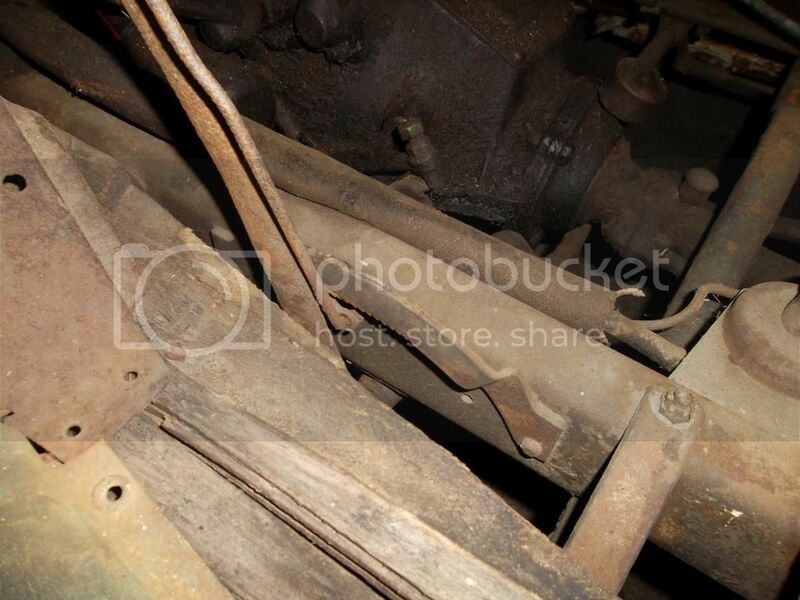 Looking at your pictures a bit closer, I'd say you a 1925 chassis and firewall. The firewall has a two rivet patent plate and the chassis has a two rivet brake quadrant. These are consistent with T's from 1925. Chances are the lower cowl is original to the firewall but you never know. The width of the lower door opening will determine the original body type, assuming there is enough of the original B post left. Thanks again for the great information. Attached are some more pictures. 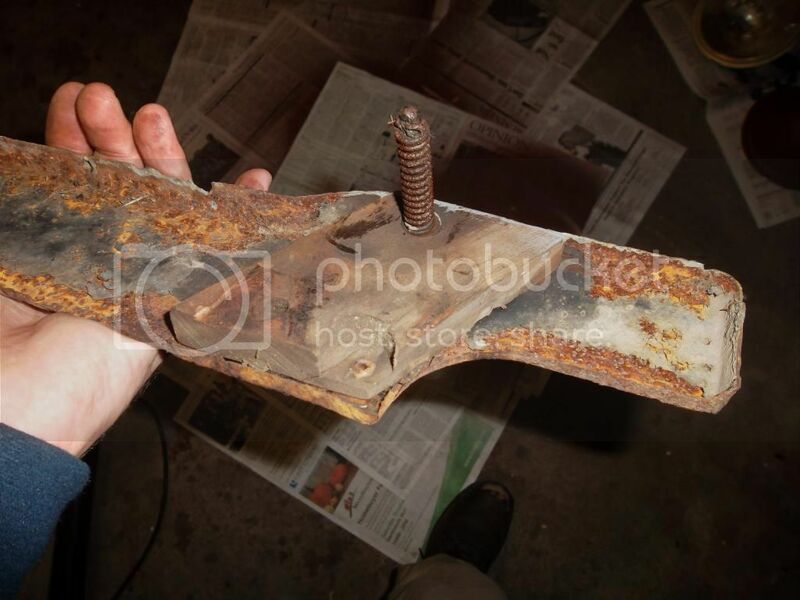 I am testing out different methods of removing rust without damaging the base metal. 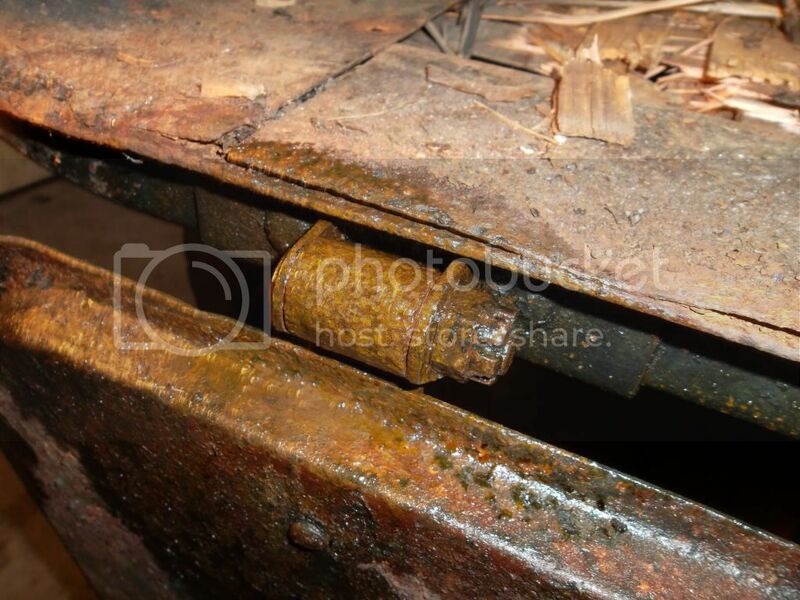 This forum has some great do's and don'ts regarding rust removal. I'm also "bagging and tagging" everything that comes apart. I'm sure I'll forget something anyway! Welcome. What I like about "bitsa" or "Frankenstein" T's, is you can make it what you want, using the parts you have or can find easily. You can have loads of fun building and driving it, and don't have to drive yourself crazy looking for a particular rare part that may have been only used for a couple of months. I've had loads of fun with the truck in my profile, and can't even count all the folks whose Dad or Grandfather had one "just like it." It's mostly '25 with '26 rear, bed, and rear fenders. I made the cab from a 25 coupe front cowl & w/s, the back of a 26 sedan body, and some doors that I had that had been cut off. Make it safe, make it dependable, then make it look like anything you want. The great thing about a T, is you can make the same car into a pickup, a hack, a huckster, a speedster, or any of the "normal" bodies--while retaining the soul of the T.
Start at the beginning and follow the evolution of this pickup. It is owned by another person in your state and Trish, the owner, kept us forum-ites updated on her progress. See what she started with and see how her car turned out. I just purchased another Model T last week. You can't own just one! p.s. to webmaster Chris: Why in the world does Trish get held up by the spell checker??? Thanks for the input Mike. I'm a huge Henry Ford fan and have to a ton of research about him. I have read many books that talk about his passion for "the perfect car". I'm just happy I own a car that was so important to Ford. I love the fact that he had a small team of 4 to 6 guys working on the T, they built a small locked room inside the plant to bring the T from concept to reality. I just purchased the Model T Service Guide. Thanks again for the input...you guys sure know your stuff. 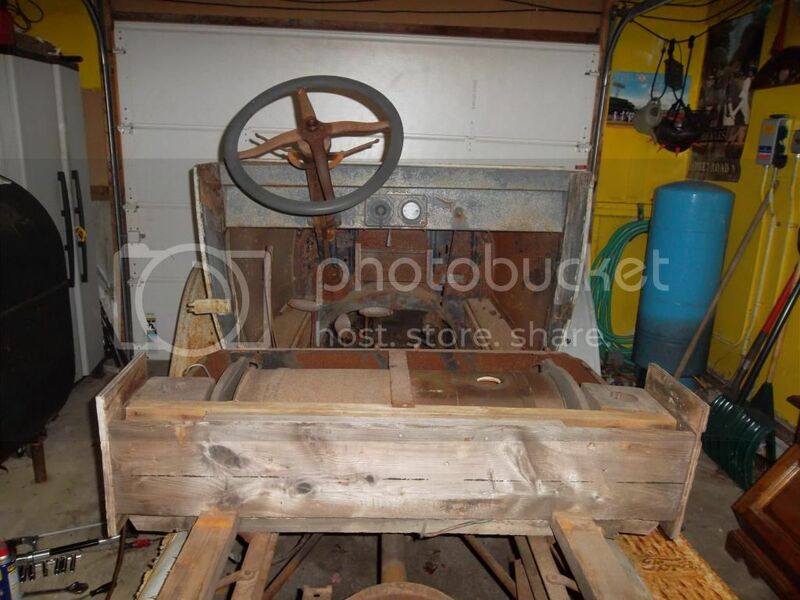 I have been trying to figure out what the heck the steering wheel is made from...it looked to smooth to be wood and I didn't think it was plastic. After poking around the forum I saw a thread that mentioned Fordite. I think that's cool if it is. Also, what the heck is the difference between a Model T and a TT? Was a TT just a truck? The frame is heavier and rear axle uses a worm gear. My dad helped me remove the truck bed. Here are some pictures of the frame without the bed. I am trying to remove any and all wood that does not belong there. Some of the wood around the gas tank looks like it came with the T and some does not. The pieces of wood to the left and right of the tank are shaped curved to match the oval tank. The wood in the back looks like it was added. Any thoughts to the 2 big posts with holes in them next to the gas tank? Once again..any help you can provide will be most helpful. Christophher, Welcome aboard! There are many active T owners in SE Mass. the Old Colony Model T Club meets in Hanson the last Wed. of the month. The club has many experienced members always willing to help. The club address is 130 Old Oaken Bucket Rd. Scituate, Ma. 02066. Contact me by P.M. if you like. Chris, the square pieces on the ends of the seat box are obviously modern plywood, and it looks like some of the wood in the bed is too. My suggestion would be to find a Model T club near you and seek out a purist who has a similar vehicle (year, body style) so you can see what's correct. Fasteners in the wood may be a hint, too. Phillips screws and other modern hardware would suggest recent improvisation. Thank you again guys. 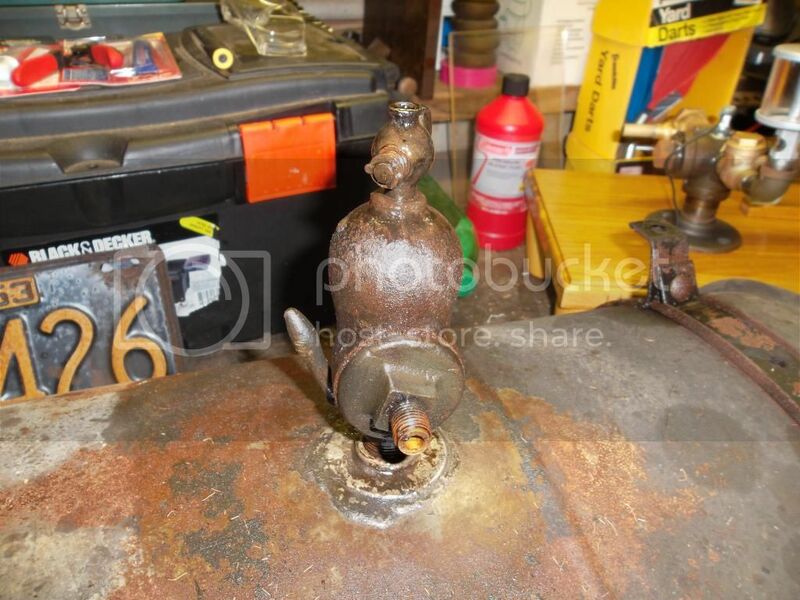 The wood pieces directly to the left and right side of the gas tank are fastened to the front metal piece and are curved to match the profile of the tank. It seems as though these pieces are original. Also, any wood pieces that have dovetail grooves seem to be original but then again I've had my model T for only a few weeks...you guys know best. I want this to be as original as possible and am trying to find original parts..and repair as many parts as I can. I won a Bridgeport milling machine and a 9-inch lathe. I have built many air, steam, and gas model engines. I'm in mode right now...and want to restore this correctly and slowly. I will try out the Old Colony Model T Club! Just a quick update regarding my restoration! I just took the gas tank off and a few other things. Working my way from the outside in. Must be a Popemobile. It has holy tires. Do those tires have a specific name? I have not been able to find much about them. I have a pair I picked up at an auction just for display. After 80+ years I wouldn't try to use them. They wouldn't last long. Mine are labeled Goodrich Pneuflex. Online I found an ad for them from the Sydney Morning Herald of Monday, July 1, 1929. They were priced at �5 1s 6d. You see them a lot in old truck pictures. Wow...that is really cool. I won't be using them but I can't bring myself to throw them out. When my boys get older (another 30 years), maybe they will inherit them! 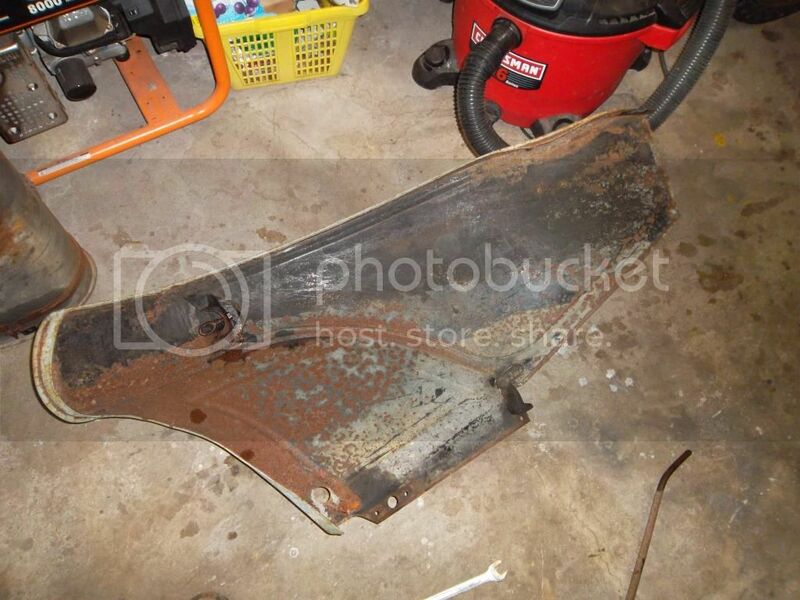 I just took one of the front fenders off, the hood block?, and a few other little things. 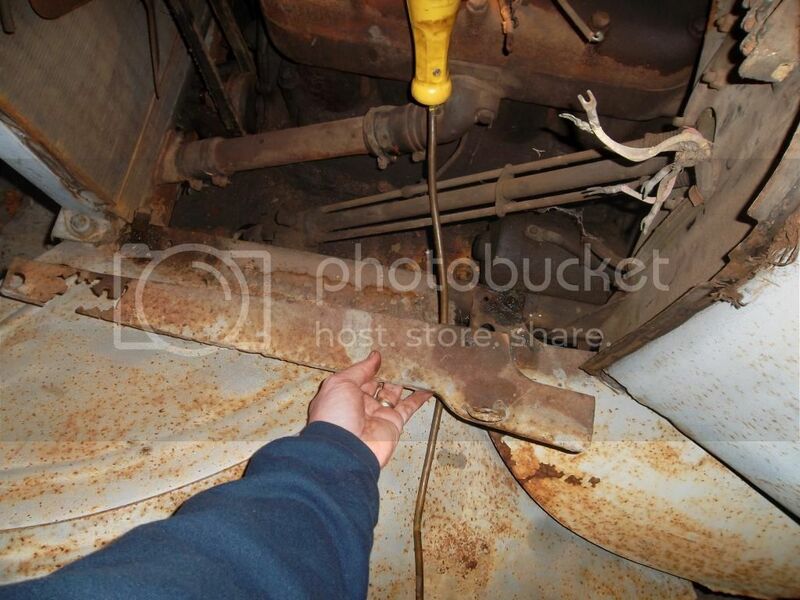 Do you think that hood block can be welded and fixed or is it too far gone? Don't put Muriatic Acid in a tin foil container. That piece the hood sits on can be repaired but i make my own. If you want to keep it as the "original came with the car" part i don't see why you can't weld it, sounds like you are capable. You have several options that you can follow....depending on what you are able to spend. 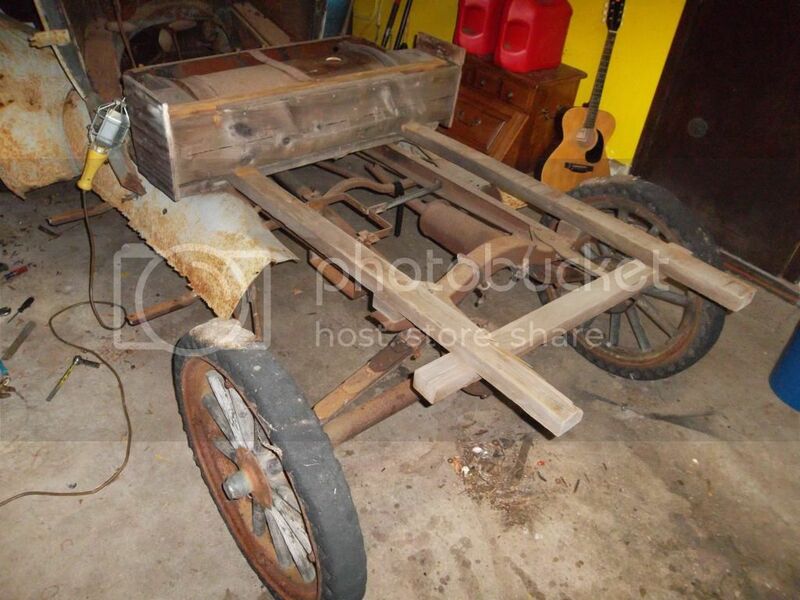 Buying/building a Depot Hack body may be less expensive and fit your family needs better than a roadster P/U. Kits/plans are available. Restore the chassis/engine first while thinking about what body style would work best for you/family. The bottom line....you want this to be a fun experience that is affordable. You, your Boy's and Dad will enjoy the time spent together restoring a Model T. Model T's is the best bang for the buck. Thank you guys. So far my oldest son (9) has enjoyed squirting WD40 on the fasteners and running a wire brush across them. Good to know that these rusted things can be repaired. I've been taking things apart piece by piece and making slow progress...but it is progress. I finally completed the floor boards. I lightly sanded them with a palm sander and put a couple of coats of polyurethane on them. I sandblasted, primed, and painted the floorboard trim. 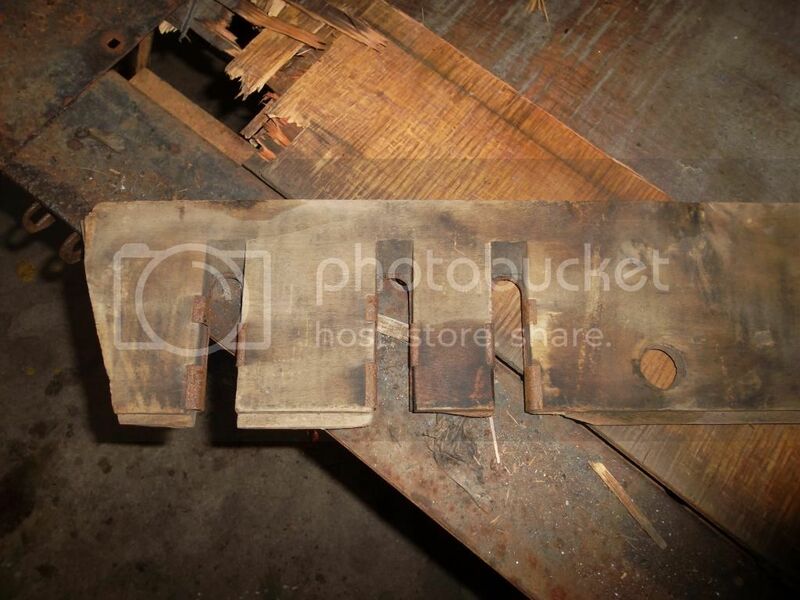 Some of the floorboards have a few nicks and dents but I like the original look of them. Of course brand new floorboards would be nice but I like the rustic look of the original pieces. I have been saving every single fastener (washers, nuts, bolts, screws, etc). Attached is a picture of a tool I found stuck inside the windshield groove on the dash! Repairing the side wood panels for the gas tank. Notice my makeshift clamp/caulking gun!